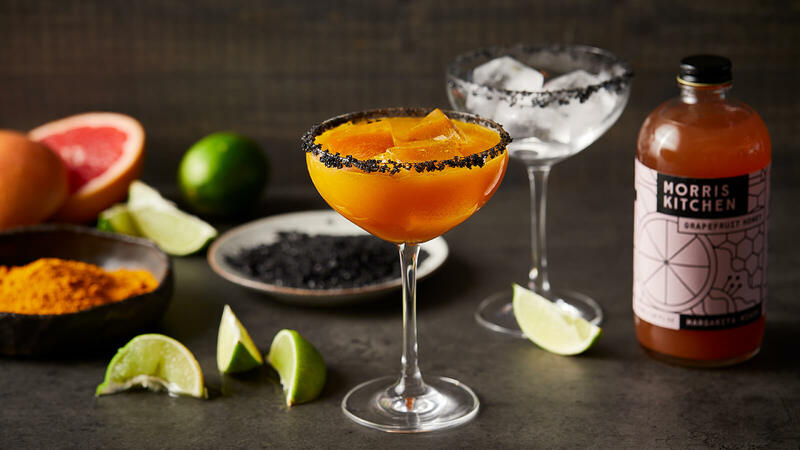 Rub the rim of a champagne coupe or margarita glass with lime and dip into black salt. Combine remaining ingredients in a cocktail shaker and shake with ice. Strain into glass over fresh ice.